Greetings from the newest *working adult* in Little Tokyo (probably, maybe)! For those of you who don’t know me, my name is Megan Nagasaki. I have been recently hired as Kizuna’s Development Coordinator and I’d love to take you all through my first day of work in the office! Think of it as a glimpse into the future for you ‘kids’ still in school (ah, I remember those days) or a flashback to the past for you wiser, more experience folk (according to our NCI intern Dylan, that includes everyone approaching 30 and older). One small step for man, one large step for the bright-eyed, recent college graduate. 6:22 AM *sigh* one would think the ‘first day of school’ excitement would carry over to the work world, but I’m going to be honest, waking up to the third of my five set alarms was rough. I don’t remember the last time I was expected to be a contributing member of society this early in the day, but this is what adults do, right?? ‍Sophie reading to cute campers! 11:22 AM at Cafe Dulce. Ahhhh, the sweet smell of coffee, temptation, and “I’m going to be spending WAY too much money here.” Dina and I took the short 2 min stroll to the local coffee shop right in the Japanese Village Plaza across the street. Got my usual (see, I already have a usual) Dulce Latte with soy milk. My bank statement keeps telling me no, but my taste buds, my energy levels, and my heart keep telling me yes. I’ve heard people say all the time, “I never drank coffee until I started working 9-5.” ...I mean it when I say I feel that on a spiritual level. 1:48 PM *OFFICE AC DIES* downtown LA in the summer should give you enough context as to why this is a significant marker in my day. 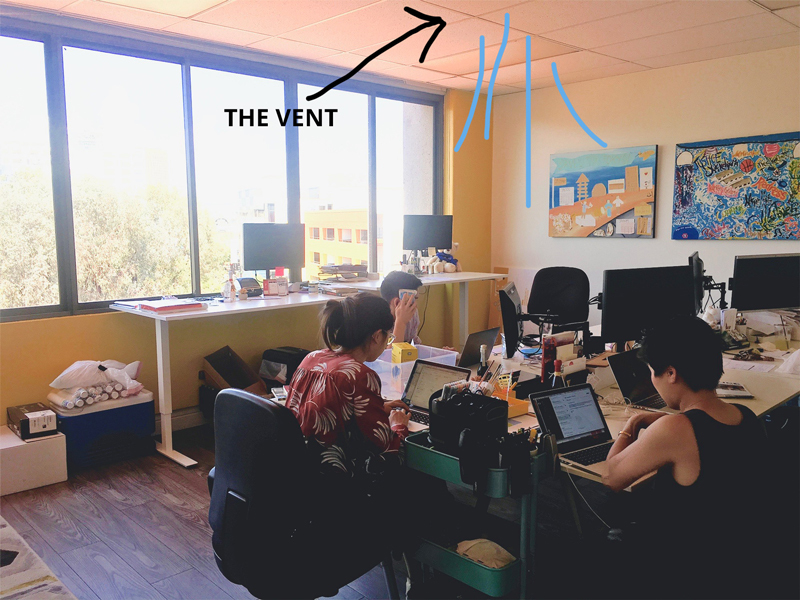 ‍In-office bonding around the faint whispers of AC coming feebly out of the vent #friendship #community #perseverance (also yes, we did take body heat into consideration and this was still the best option). Please note Dylan is holding a Capri Sun drink to his face to cool down. We get creative in this office. 3:30 PM This upcoming August, Kizuna is having our summer Opportunity Drawing and raffling off prizes - some of which are sourced right here in Little Tokyo! I get to reach out to some of our local businesses in LT and partner with them to encourage the opportunity drawing participants to visit and support businesses who support the community. In our Kizuna Leadership program for high school students, we’ve been talking about the importance of supporting local businesses who hold stakes in the community. 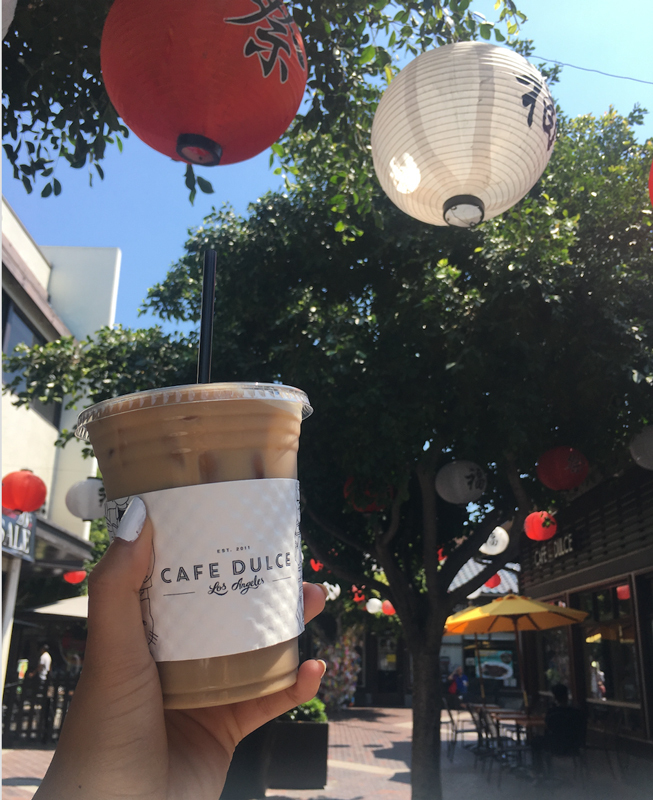 It’s always a great reminder that the students (and counselors) have the power to show their support and also thank these businesses for playing a vital part in making Little Tokyo the enjoyable, unique, and resilient community we know and love. 5:30 PM sitting on the 110. in traffic. again. I’m not going to sugar coat this when I say the commute back to the South Bay from Little Tokyo makes the top 10 list of my least favorite things. It does give me ample time to reflect and think, but it’s pretty hard not to when you’re going 10 mph and have moved half a mile in the past 15 minutes. Honestly speaking though, in my reflection, I’m reminded of what an honor it truly is to be able to take part in serving the JA community that has benefitted me and countless others. Community members constantly talk about ’the next generation’ and how important it is for young people like myself to participate this community—after all, our generation has to decide what it looks like moving forward. 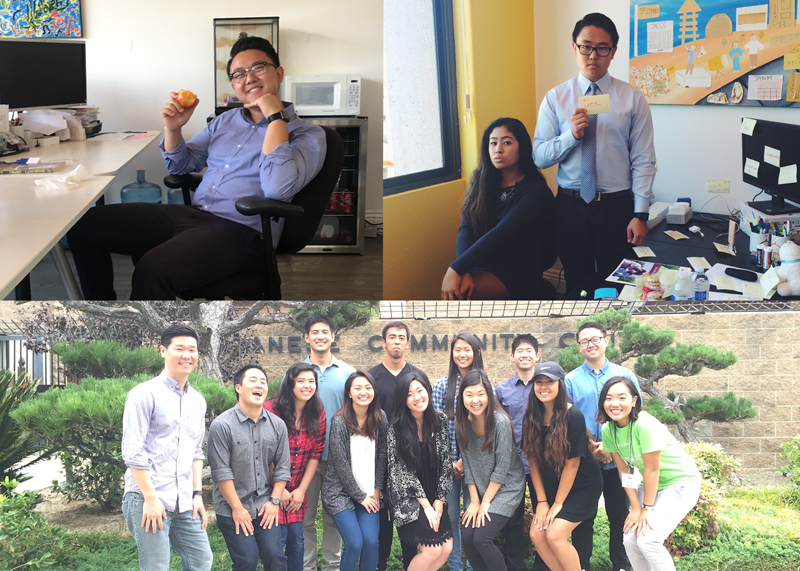 Kizuna has played an integral role in getting me plugged into the community and seeing its value. I now have a greater understanding of what it means to take responsibility in ensuring that our JA history, culture, and community have all it needs to not only survive, but to thrive for generations to come. Now I get the chance to work for the organization that is creating more of these opportunities for other young people just like me. It’ll be quite an adventure moving forward and to be frank, there’s a steep learning curve and high demands to be met, as is the case with any other job. But I know that the mission, values, and purposes both this organization and this community hold will give me the inspiration and encouragement moving forward. Looks like this job comes with a lot more benefits than just retirement packages. Well, hopefully this won’t be the last time you’ll be hearing from me, but until then, I’ll raise my Cafe Dulce cup and cheers to “adulting” in the real world—here’s to day 1 of many. Megan grew up in the South Bay and participated in the Japanese American community by playing FOR basketball and dancing hula at a young age. She credits her parents for providing ample opportunities to be connected to the community. 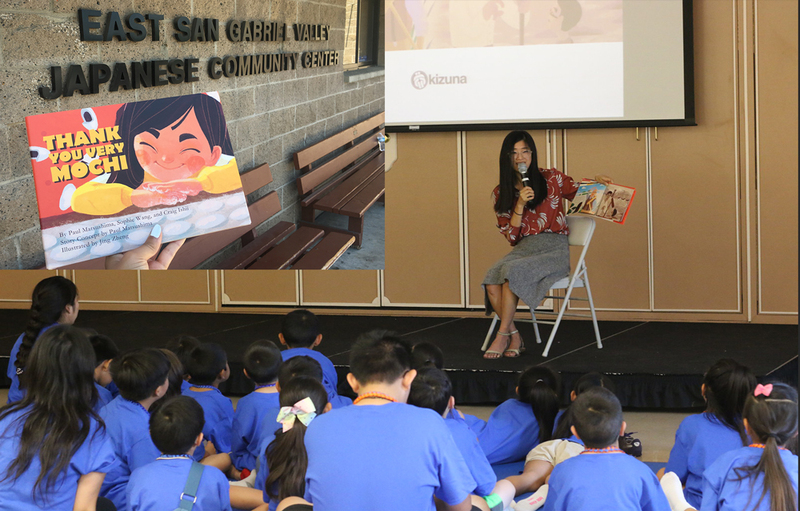 It was not until college, however, where Megan began to be exposed to the issues facing the Japanese American community, with the help of Kizuna. She was first introduced to Kizuna through the Nikkei Community Internship in 2015, where she interned with a multicultural ad agency TDW+Co. There, she witnessed the variety of ways people can participate in the Japanese American community and how imperative it is for young people to do so. 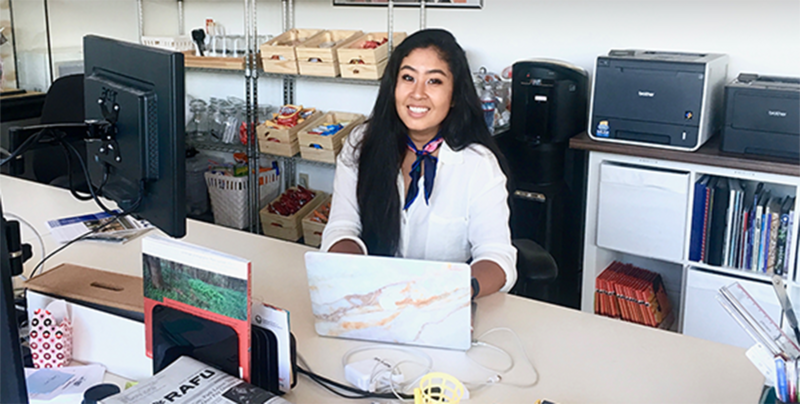 Because of this positive experience, Megan has since helped out as a counselor for Kizuna’s Summer Camp and Leadership programs, as well as a Co-Director for our South Bay Summer Camp location.